Home / Investing / Mutual Funds / Choosing Between Fixed-Income and Equity-Linked Investments. Choosing Between Fixed-Income and Equity-Linked Investments. As an investor, one always wishes for the best returns from investments without any risk of losing money. However, in reality, risk and returns are inversely related, i.e. with more risk come higher returns and vice versa. For investors, the choice between fixed-income investments and equity-linked investments becomes more pronounced when it comes to meeting goals. Let's see how different investment avenues may be put to use while chasing goals. 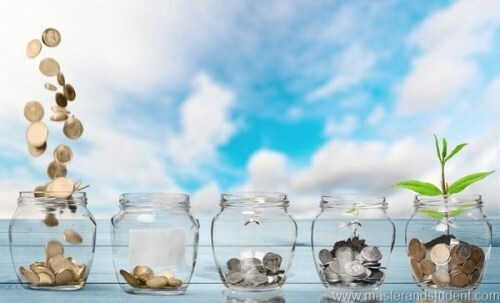 Fixed-income investments: Interest-bearing investments such as bank fixed deposits, company deposits post office small savings products and bonds are popular among fixed-income investors. They come with a fixed return and a pre-decided maturity period. One should be investing in these instruments, only when the requirement is fixed and certain in the near future. The principal amount invested is fairly safe in such products. They, however, fail to generate high real returns, i.e. returns don't keep up with the inflation. For example, if the return generated from them is 8 per cent while inflation is 6 per cent, the real return will be around 2 per cent. Equity-linked investments: In Equity-linked investments, the returns depend on the performance of the underlying asset, namely equity shares, One could invest in equity shares directly or in mutual funds but returns from these instruments are not assured, but the potential to generate high return is also there. The interest income from most fixed-income investments such as bank deposits, post office time deposits, NSC, KVP and bonds is fully taxable as per the income tax slab of the individual. The post-tax return from them therefore is much less than what they offer. Equity-oriented investments such as equity mutual funds, Ulips and NPS are more tax-friendly. Equity-linked savings scheme (ELSS), a variant of equity mutual fund, provides exposure to equities, gives tax-exempt return and even helps in reducing one's tax liability under section 80C. Since fixed income investments generate low real returns, it is imperative for an investor to look at equities. If you are young and have no responsibilities in the near future and can afford risk taking, then investing in equity-linked investments like mutual funds, makes sense.